Manchester is a major city in the Northwest of England. It is the third most populous metropolitan area in the whole of the United Kingdom. The Manchester skyline is an ever-changing scene with cranes constantly working and taller buildings cropping up each decade. Not so long ago the Manchester Town Hall was the tallest building to grace the skyline of the greater Manchester area. The Hall stood at 85 meters high, which makes it a dwarf now when it is compared to the more modern structures like the Beetham towers. Completed in 1877, this iconic building has graced the skyline for almost 142 years now. The town hall is still there to date, but it only serves as a landmark because of its iconic clock and the general location. The town hall was surpassed in 1962 by the CIS tower which measured 118 meters high. When the CIS tower was completed, it was the tallest building not only in Manchester but also in the United Kingdom. In the present day, there are several colossal buildings that decorate the beautiful skyline of Manchester, the tallest of them being the Beetham tower. Located in Deansgate, this tower houses some residences and a hotel. At the conclusion of its construction in 2006, the tower was the 12th tallest structure in the entire United Kingdom, measuring 168.8 meters tall. It comprises of 50 floors with 219 residential apartments. Its overall cost for construction is £150 million. Whilst not being the most expensive project in comparison to the latest building projects in the city centre, it is no small fee. Working closely with Google here at SEO Manchester Ltd, we recently heard that Google was fined by the EU for €1.49 billion for unfair advertising violations. Whilst this is a huge fine, it would only enable you to buy a few floors of the Beetham Tower building. Things will change in a few months when the Deansgate Square Towers open. The towers are located along Owen Street and their construction started in 2016. The project constitutes of four towers namely North, South, West and East towers. The South towers will be the tallest of the four buildings, standing at 201 meters tall. This will make it the tallest building in the Manchester area. The tower will be a residential building consisting of 66 floors with 496 apartments. It will have some pretty exclusive penthouses. This surge in residential skyscrapers can be credited to the expansion of the economy in Manchester over the last thirty years. This expansion caused an upsurge in the population and a very high growth rate. The residential buildings may be an indication that there is a continuously increasing demand for housing in the city. In terms of commercial space, the City Towers takes to the sky with 28 storeys standing at 107 meters. The building acts as the transmitting station for Manchester’s main radio station. Its 28th floor offices are the highest commercially available office space. 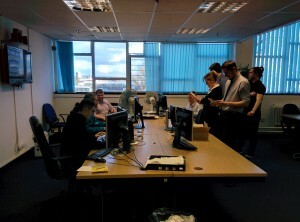 The City Towers are also used to house SEO Manchester based companies like SEO Manchester Ltd. The city’s lust for gigantic structures is yet to be quenched. The skyline of Manchester is bound to change again within the next few years. A recently approved development project will see the emergence of Trinity Island. The project will have five towers and will make the Trinity Island Tower X the tallest structure in Manchester bearing 67 storeys and standing at 213 meters. Construction is set to start this year, 2019, and will be finished in 2022. This mega structure will definitely be a game changer. In addition to the trinity island, a host of buildings will also be completed in the future, including the remaining phases of the circle square project. 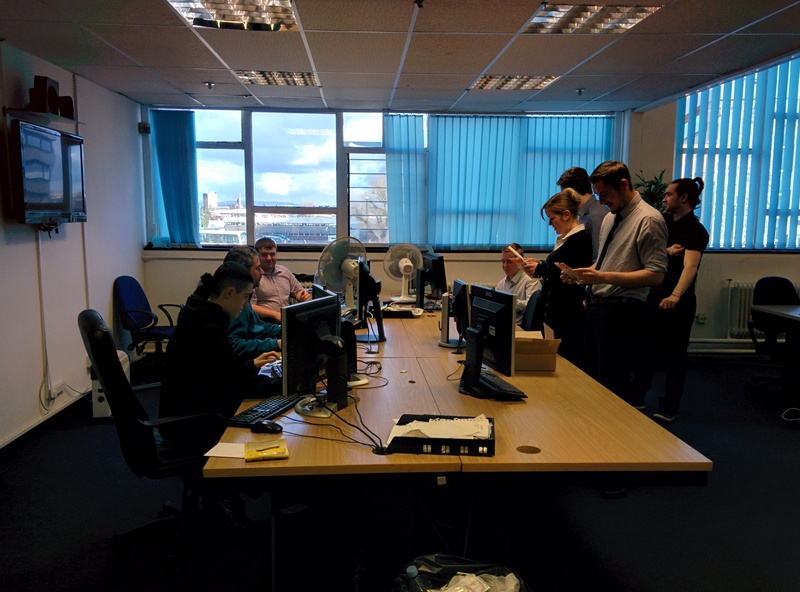 The buildings are just a stone throw away from Pleer House where you can find the best SEO in Manchester companies. Contact us on 0845 11 22 530 or email any enquiries to sales@netsixtysix.co.uk. Have you noticed ghost spam in Your Google Analytics data? Fighting spam has always been a hard-fought, epic battle which has still yet to be conquered successfully. Google Analytics is one of the leading tools available for gathering and analysing data about your website but unfortunately, its data been compromised in the past through various hackers. This has left many website owners frustrated and confused about how to interpret their reports, since it was not known whether their statistics were not a true reflection of actual website traffic. Back in 2014, several bots (website crawlers used by Search Engines) were hacked to visit websites and leave fake referral data within the Analytics reporting. Since then, there have been many similar instances from various sources including fake organic search terms or fake events being reported. Whilst Google’s spam defences are always improving, the fight is a tough one for them. By not discussing their tactics and strategies to overcome this problem, they are keeping their security systems private, away from the hackers prying ears. There have been many reports recently of a Russian hacker by the name of Vitaly Popov who managed to find a way to use a fake Google domain to send referral spam into Google Analytics. The hacker registered a domain name almost identical to Google but with replacing the first letter “g” with a Unicode character set of the letter instead. This resulted in fake referral mentions being contaminated within the Google Analytics data. The intention behind this hacking incident was in this case not to expose any vulnerabilities or hotlinking to images. Instead, he successfully managed to leave a political message within the domains’ referral links. Visitors who would be intrigued by the new URL would be tempted to trace it back to its original source. As a result, this would then boost the popularity of the hacker’s own website further. The hits appeared as though they were coming from thenextweb.com but in fact, they were not. Ghost referral data appearing as though it was coming from thenextweb.com when in fact, it wasn’t. Most Google Analytics ‘ghost referrals’ spam can be blocked by using a single filter for a valid hostname. These are websites that you have configured to use within the Google Analytics account, such as ecommerce shopping carts or associated call tracking services. Since the ghost or fake referral traffic never actually goes to your website, it isn’t actually possible to block the visits, either through the .htaccess file or through any plugins.Therefore, setting up a filter which excludes them makes good sense. The main problem with spam referrals is that they tend to continuously change and reappear, meaning new filters are always required. Our recommendation is to continually check the data showing from your website’s referrals and test to ensure the information is legitimate, to the best of your knowledge. Hopefully there will be a time in the future when your Google Analytics data can be entirely spam-free but until then, take care! Net66 like to be there for our clients and strive to go above and beyond what “traditional companies” would do. We never ask for anything in return other than a continued business relationship. That’s why it’s always nice when we receive something back from our clients. The Space Collective have been working with Net66 for years now and enjoy a great relationship with ourselves. 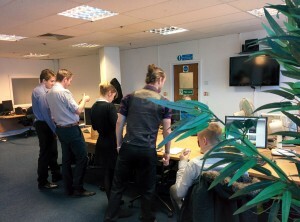 We’ve presided over the rebuild of two of their websites and successfully optimise both of them. 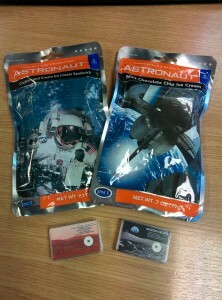 As a show of thanks for all we do, Richard very kindly sent us a box of goodies. 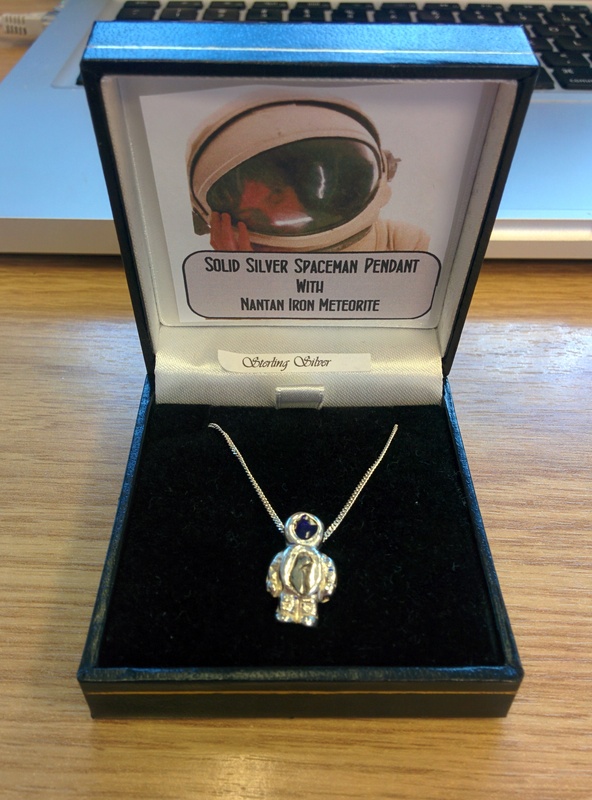 Treats included astronaut food (I bagsied the cookie and cream ice cream sandwich), genuine pieces of the Moon and Mars and some lovely jewellery. 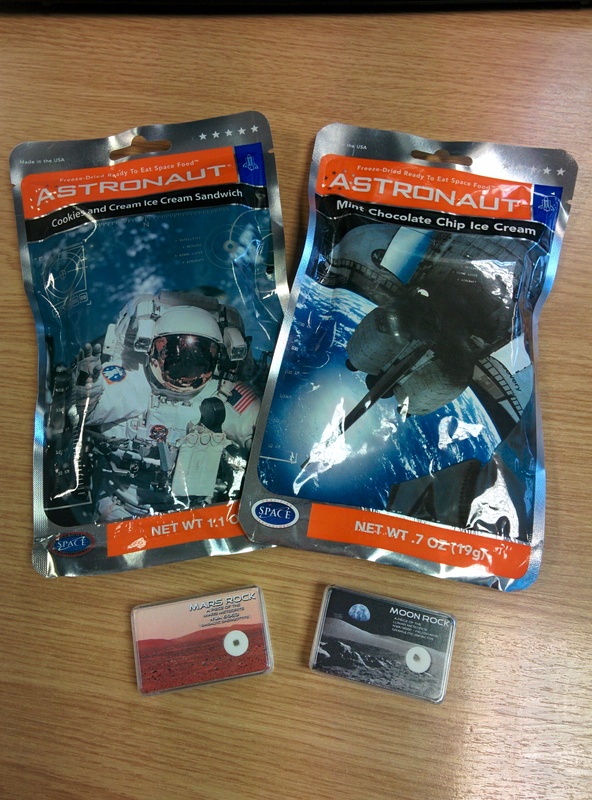 We’d like to thank Richard for sending over these gifts and look forward to living a long and prosperous business partnership. As we all know Google LOVES making Doodles. None more so for special occasions and what a special occasion it is today. Today, if you’re unaware, is St Patrick’s Day. St Patrick is the best know Patron Saint of Ireland and observations are held every year on the anniversary of his death to remember him. Or, if you’re a more modern observer of St Patrick’s Day, to make everything Green and drink Guiness until you’re…well, green. Google are celebrating a bit more conservatively than the vast majority of people and has published an animated .gif of 6 little four leaf clovers having themselves a merry little jig. What do you think of Google’s latest Doodle? Google has taken a look at the past years search and put together a nifty little web page and video looking at all of the search trends in 2014. One of the trends Google focused on was Sport. And what a year for sport it has been. There’s been the World Cup, the Sochi Games, La Decima and more. In fact one of the questions that trended most in 2014 was “What is La Decima?”, which is, of course, the 10th European Cup/Uefa Champions League Cup for Real Madrid. They finally won their 10th trophy with the last one coming in the 2001/02 season over 10 years ago. Off the topic of Sport there were the more serious trending topics such as ebola and the Malaysian Airlines plane that vanished into thin air. Ebola caused the 5th highest spike in search traffic in October this year, despite initial reports of Ebola all the way back in March. This coincided with the virus’ first appearance in Spain and most likely had the whole of Europe searching on the topic. The Malaysian Airlines Flight MH370 was also one of the most searched for topics this year after it disappeared without trace just an hour after taking off. The highest peak of searches on this topic was in April when searches for “MH370 Found” rocketed . Another one of the trending topics this year was the death of Robin Williams who claimed his own life. The accolades, support and outpouring of love from the whole of the acting world was huge. The general public as well had a huge response to the news and offered a lot of support and well wishes to Robin’s daughter, Zelda. There were also less serious items in the news such as “Selfie Tips”, “Buy Pharrel’s hat”, “How To Teleport” and “Flappy bird cheats”. 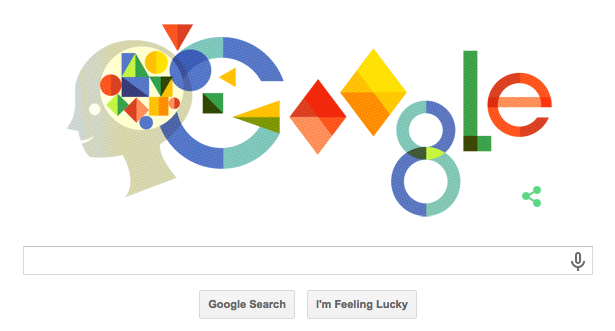 Google LOVES a doodle, and this year it looks like they’re not letting the chance to throw one out there get away. They’ve already released a feature rich Santa Tracker, and now they’ve updated their search bars for queries relating to Christmas, Kwanzaa and Hanukkah (Chanukkah). What festival are you celebrating this year? 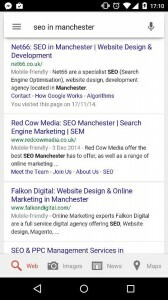 A few weeks back Google announced the launch of mobile friendly labels for searches on mobile devices. Most images courtesy of SERoundtable. There’s been quite a bit or furore over the latest penguin algorithm. Initially it rolled out, and then continued to roll out even over Thanksgiving which Google usually tries to avoid doing. It now seems that there will be no “end” to the algorithm rollout. A Google Spokesperson has today confirmed that the rollout of Penguin will be continuous. That last big update is still rolling out — though really there won’t be a particularly distinct end-point to the activity, since Penguin is shifting to more continuous updates. The idea is to keep optimising as we go now. This means that we’re likely to stop getting updates from Google when they do update the algorithm. As we all know Google stopped confirming Panda updates some while ago. And now it looks like they’re set to do the same for Penguin. We’ve announced previously that the default search engine for Firefox has switched from Google to Yahoo. The resulting traffic boost has been huge for Yahoo with a reported 29.4% increase of searches on their search engine from Firefox users. 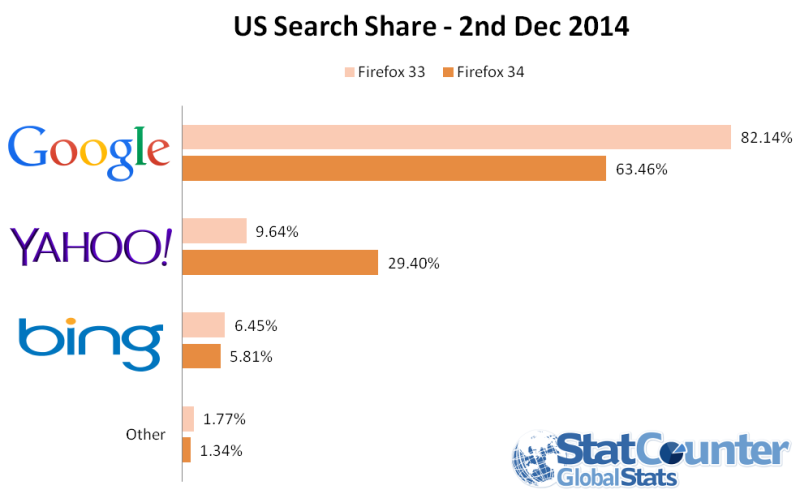 Yahoo search was used three times more on Firefox 34 than on Firefox 33. It just goes to show how meaningful these types of deals are for huge companies. Almost everyone knows of Freud and his work and I’m sure the same people and more have heard of a Freudian Slip. Well today his Daughter, Anna, is honoured with a Google Doodle to celebrate what would have been her 119th birthday. Anna Freud was a specialist in the psychoanalysis of children’s psychology. Being the youngest of 6 in Freuds family, Anna is credited by her father as the founder of psychoanalytical Child psychology alongside Melanie Klein. Anna’s work also led to the set up of the Anna Freud Centre which, to this day, still aims to promote and progress the psychoanalytical child psychology.